With all the stunning 105” OLED TVs, next-generation kitchens and similar flashy tech on display at CES 2015 in Las Vegas, you might not think that utilitarian smoke detectors would garner much attention. 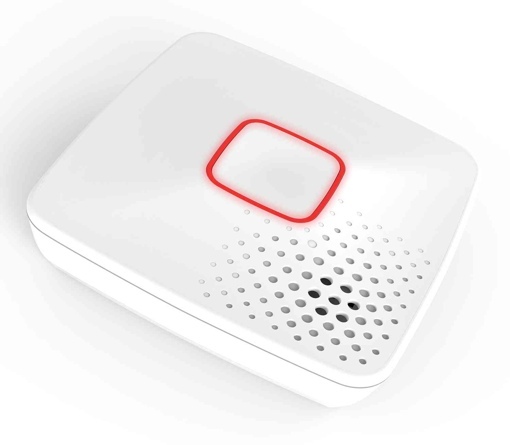 But us here at Techlicious have been really impressed with the First Alert Onelink Wi-Fi Smoke & Carbon Monoxide alarm. It’s an automated home safety solution with a killer feature: You’ll never need to change the battery for the life of the unit. Like the competing Nest Protect smart alarm, the Onelink Wi-Fi Smoke & Carbon Monoxide alarm connects to iOS devices through a free mobile app (iOS only – sorry, Android owners). This lets you test and reset the alarm right from your phone, eliminating the need to crawl up a ladder or wildly swing a towel near it to silence a false alarm. It’s compatible with existing hardwired alarm networks, or can connect with other First Alert smart alarms via Bluetooth. That way, if a fire or CO leak really does start in your house, the alarm will not only alert you to the danger, but also use voice to tell you exactly where that danger is. You’ll also get a push notification on your mobile device, with the option to call 911 directly from the Onelink app. A 10-year battery, good for the life of the unit, powers the Smart Alert detector. (FEMA recommends you replace all your smoke detectors once every 10 years.) This eliminates both the need for hard wiring and the need to get out the ladder for regular battery testing and replacement. It’s a nice convenience, expecially if you’ve ever been waken up in the middle of the night by a low-battery chirp. But it’s an even better safety feature. After all, your smoke detectors do you no good if their batteries are dead. The First Alert Wi-Fi Smoke & Carbon Monoxide detector is part of the company’s new Onelink line that includes the Onelink Wi-Fi Thermostat, Wi-Fi Environment Monitor, Wi-Fi Safe, Tracker and a fitness tracking Onelink Watch. The entire line will hit store shelves sometime in “early 2015.” To learn more, visit the First Alert Onelink website.